The famous single stone 42-foot (13 m) statue Gomateshwara (Lord Bahubali) is located about 1 km from the center of the town and is the second tallest in Karnataka . 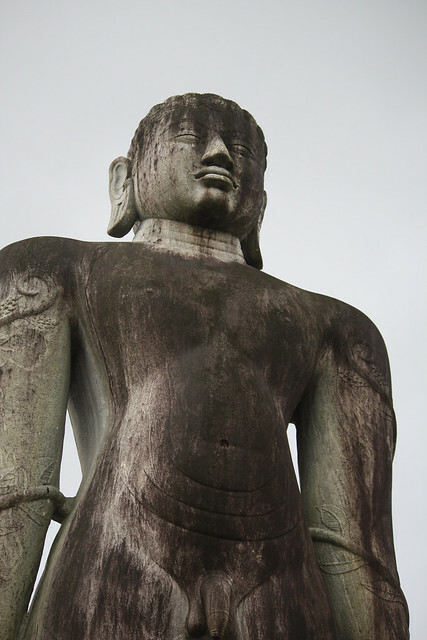 King Veera Pandya, at the insistence of his Guru Lalitakeerti, the pontiff of Karkala Jaina Math, installed the most beautifully carved gigantic statue of Bahubali on the rocky hill of Karkala. The date of the installation has been ascertained as February 13, 1432. This is the icon of the town and a visit to Karkala is incomplete without a visit to this hillock. Veera Pandya also installed the Brahmadeva Pillar in front of the statue in 1436.